Home » Sport » Disabled or just differently abled? Disabled or just differently abled? Apologies for the long gap between this and my last post, life suddenly took over! A bit out of date but I think still relevant. An article I wrote for newspaper on whether the Paralympics will have any lasting impact on people’s perception of the disabled. As always, feel free to comment! “I do not deny that Paralympians have shown us all what can be achievable in the face of extreme adversity. I do not deny that they have the potential to become heroes and an inspiration to us all. But as the glamour of the games quickly fades away, the long entrenched prejudices and perceptions of the disabled remain. This cannot be altered in just eleven days – fact. One could argue perhaps callously that by holding the games at all only serves to widen the gap between the abled and the disabled. Why? We do not see the accomplishments of these Paralympians in terms of just achievement. A fact of course which does not hold true for the Olympic games. We see these athletes as amazing because of their disability – ‘oh look what he did even though he’s in a wheelchair’. 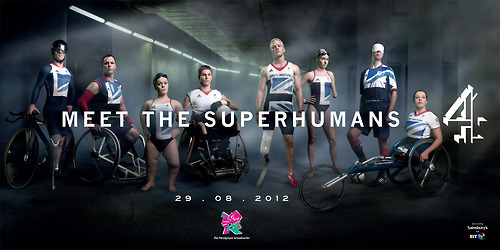 In my mind this does not alter perceptions, it merely reinforces the idea that these athletes are disabled. In order to make true leaps towards altering perceptions we must see people in terms of ability not disability. The Paralympics while of course emphasising achievement in the face of adversity inadvertently emphasises achievement because of adversity. An unfortunate irony of the London 2012 Paralympics is that London itself is not truly accessible to the disabled. Try being a wheelchair user and attempting to use the tube for example. This of course is one of many more pressing concerns for disabled people. To broadcast eleven days of Paralympic sporting achievement, whilst I hope proves to be an inspiration to many, puts the interest of an elite minority above the concerns of the majority. 11 days of sporting achievement does not change the reality for many disabled people. The Paralympics does not articulate the emotional effects of disability in its more negative forms, nor does it articulate the real concerns of many disabled people facing day to day tasks. This entry was posted in Sport and tagged blog, blogging, Disability, disabled, London 2012, opinion, Paralympics, sport. Bookmark the permalink.